The Fenced In Yard Is Perfect For Pets To Run Around And Explore. MLS#8541787. Jar House Llc. Honey Creek - Swim/Tennis/Golf Is Available, But Not Required. MLS#8541624. Solid Source Realty Ga.
Stoney Brook - Call Or Text Me To View! MLS#8541403. Re/Max Agents Realty. Enjoy The Pool, Workout Room And Clubhouse As Well As Low Maintenance Living Among Friendly And Active Neighbors. MLS#6517827. Bhgre Metro Brokers. 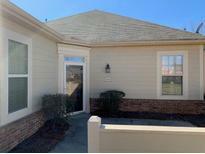 Perfect For Empty Nesters Ready For Low Maintenance & Convenient Location. MLS#6517236. American Realty Professionals Of Georgia, Llc..
Manchester - Schedule Your Showing Today So You Don'T Miss Out Tomorrow. *Alarm Code Needed To View* MLS#8540365. 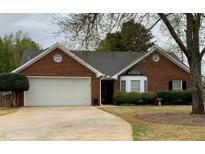 American Realty Pro Of Ga.
Quiet, Established Neighborhood Close To Shopping And Just Minutes From I-20. MLS#8540469. Re/Max Agents Realty. Don'T Let This One Get Away. MLS#8540521. Keller Williams Realty Ame. Hi Roc Shores - The Large Backyard Is Perfect For Pets To Run And Explore And The Back Deck Is Ideal For Coffee In The Morning Or For Spending Time With Friends And Family. MLS#8538649. Jar House Llc. A Few Repairs Have Been Completed And Some In Process With A Little Additional Tlc This Home Will Be Move-In Ready For The Growing Family. Large Fenced In Backyard. MLS#8539067. American Realty Pro Of Ga.
Also Rv Awning That'S 20X30 & Laundry Hook Up In Kitchen. MLS#8538481. Your Cousin Vinny Realty, Llc. Located Minutes From I-20 In Stonecrest Area. MLS#6514851. On Point Realty, Inc.. Located Minutes From I-20 In Stonecrest Area. Pictures Of Similar Decorated Model. MLS#6514849. 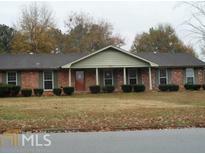 On Point Realty, Inc..
Lake Capri - 4 Sided Brick Ranch On Partial Basement With Hardwoods. MLS#8538005. Realty Professionals. Rockdale County Schools. Pictures Of Similar Model. MLS#6514847. On Point Realty, Inc.. This Home Is The Definition Of Phrase Move In Ready! MLS#8537227. American Realty Pro Of Ga.
Tenant Occupied. Please Do Not Disturb. MLS#8537493. Silas Frazier Realty Llc. New Stove And Dishwasher March 2019. MLS#8537214. American Realty Pro Of Ga. Deer Run - Located In A Great Part Of Town With Great Schools! MLS#8536351. Solid Source Realty Ga.
Stack Stone And Concrete Siding On The Exterior With Inviting Front Porch. MLS#8535822. American Realty Professionals. Add Doors To Small Space In Kitchen And It Soulc Be Made Into A Pantry Or More Cabinet Space. MLS#8535819. Re/Max Pure. Northampton - Make Appointment With Listing Agent, Not Showtime. MLS#8535771. Conveyance Realty Group. Highland Chase - Gazebo In Rear Yard And Bbq Patio. MLS#8534706. Carter'S Galaxy Of Homes. No Disclosure. Sold As-Is. Must See. MLS#8535680. Atlanta Peach Mgmt.& Realty.